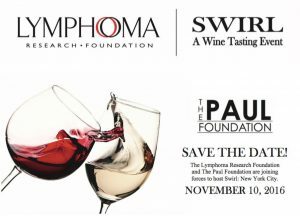 Thinning hair and/or total hair loss (or more formally known as, alopecia) can occur for many reasons. It can affect just your scalp or your entire body from conditions like trichotillomania, when someone pulls and tugs on their hair creating small patches of scalp consciously or unconsciously, which can lead to partial or total hair loss. It’s more common among teens and college students, especially when they are experiencing pressure from school or social interactions. A zinc deficiency can lead to a direct result of thinning hair. It’s often associated with hypothyroidism, which is an overlooked cause of alopecia. Thyroid hormones are essential for the body to absorb zinc. It can also be found in foods like cashews, pumpkin seeds, chick peas and spinach, but sometimes it’s necessary to use supplements. Other key factors that lead to thinning hair and/or total hair loss include heredity, hormonal changes, medical conditions, medications, or stress; any of those can lead to hair loss or the more formal name alopecia. Today, stress levels are at an all-time high. Finding better ways to release stress can be helpful. For example, a good book, exercising, a great massage, a sport, or a hobby is a step in the right direction. Good nutrition is also an important asset for your total body. 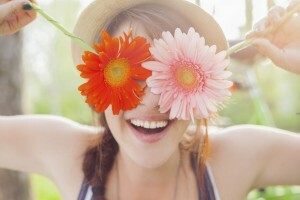 For many of us, we don’t even realize when we are internalizing stress. As women, we can be calm, cool, and collected on the outside, but our insides can be a tangled web of emotions that ultimately surface through disease, hair loss, or depression. Thinning hair and/or total hair loss does not discriminate, regardless of age or gender. There are many different types of alopecia. The usual suspects that can add to your risk factor are family history, age, poor nutrition, stress, or certain medical conditions such as lupus, diabetes, and cancer. We can control some of the risks of thinning hair and/or total hair loss, but of course, there are several that we cannot. Learning the options that are available to you can provide a source of relief immediately. For thinning hair, many times a simple clip-on hair piece is all that’s needed. 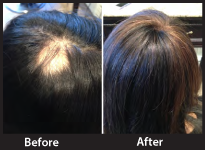 There is also non-surgical bonding for areas of semi-permanent or permanent total hair loss. 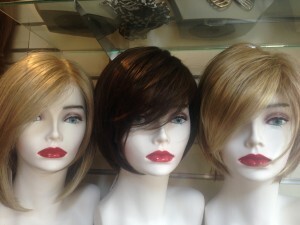 Wigs either synthetic or human hair are yet another option. Some women choose to just wear a scarf or trendy hat. Thinning hair and/or total hair loss can either be temporary or permanent; therefore, it’s important to see your doctor as soon as you begin noticing a change in your normal hair, or are experiencing unusually high levels of stress. Feel free to book a complimentary consultation with us to learn the options available for you or a loved one. 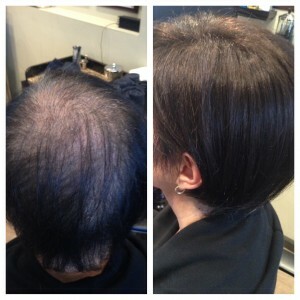 Call 203 987 5948 ext 1 or visit www.althairsolutions.com to learn more. Thrust into a sisterhood that I never wanted to belong to, the thought of losing my hair was equally as devastating as those words “you’ve got cancer”! My hair was a testament to my femininity and my sexuality. It was no consolation when flip comments were made that” it will grow back”. I know it was a genuine attempt to minimize the devastation, however, it was futile. I am a confident women who started the journey demoralized and feeling bad about myself worried that it would be apparent to the world that I was sick. Then I got a grip on the situation and I realized that instead of wallowing in self pity, this could be my opportunity to try looks and colors that I had been curious about but was too afraid to try. I no longer had to commit to chopping my hair into those pixies I loved. If I tried a pixie and I didn’t like it, it only took one fast swipe to change it up. 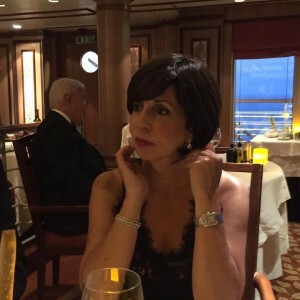 I had the options of synthetic hair which would insure I’d always look good even when the humidity was at its highest or human hair ( I defy anyone to identify as not being my own) or a combination of both that would give me the best attributes of each. I created a pinterest board with pictures of me on what I considered to be my best hair days. I surrounded those pictures with images of everything that even remotely appealed to me because now was my moment of opportunity. 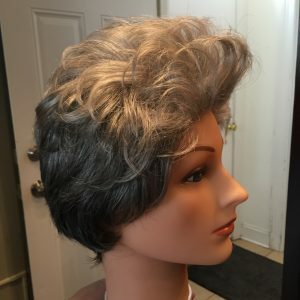 Wig shopping does not have to be devastating! Looking in the rear view mirror now, I can say with certainty that wig shopping doesn’t have to be devastating! It can transform how you feel about yourself! Shopping for it can be distracting fun, thanks to the terrific options available today. 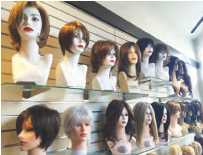 Shopping for a wig is just that… shopping. Turns out I bought 4 different wigs to have options for different times and moods. I now I fancy myself somewhat of a pro. My tips to anyone buying wigs are to get a comfortable cap. That is what the hair is attached to. Do not buy a wig from someone who does not measure your head. Find a stylist who is familiar with fitting a wig as there are 5 sets of measurements to a perfect fit. When the wig fits right, you know it immediately, just like when you find that perfect pair of pants!. You feel confident and secure. NEVER buy a wig that is too tight. It will never look natural or feel good. 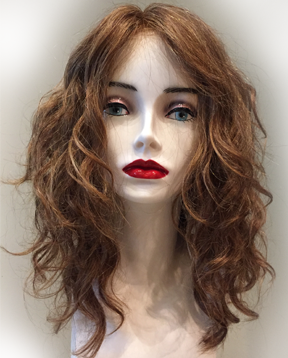 Most wigs are adjustable to make them bigger or smaller. 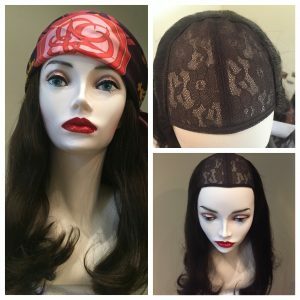 If you are getting a lace front that allows you to wear your hair off your face, match the scalp color to your skin tone and once you have bought it have the lace cut in a zig zag pattern close to your hairline. A personal tip to anyone buying wigs is if you get itchy, a rat tail comb slid UNDER your wig feels amazing! Just be sure it is never used on top of the cap so as not to damage a hand tied cap.